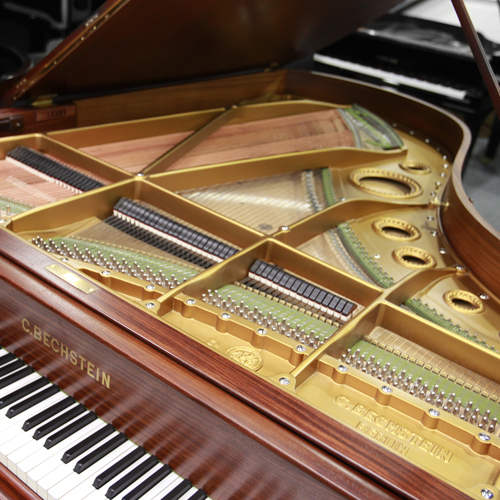 Why purchase a used Bechstein piano? A visit to Coach House showrooms offers you the unique opportunity to see, hear and try used Bechstein pianos alongside the other leading top quality brands such as Blüthner, Bösendorfer, Grotrian-Steinweg and Steinway & Sons in order to make an informed choice according to your individual preference. Coach House is well acquainted with the restoration of these fine quality instruments and the high standard of materials that form the construction of these German masterpieces. 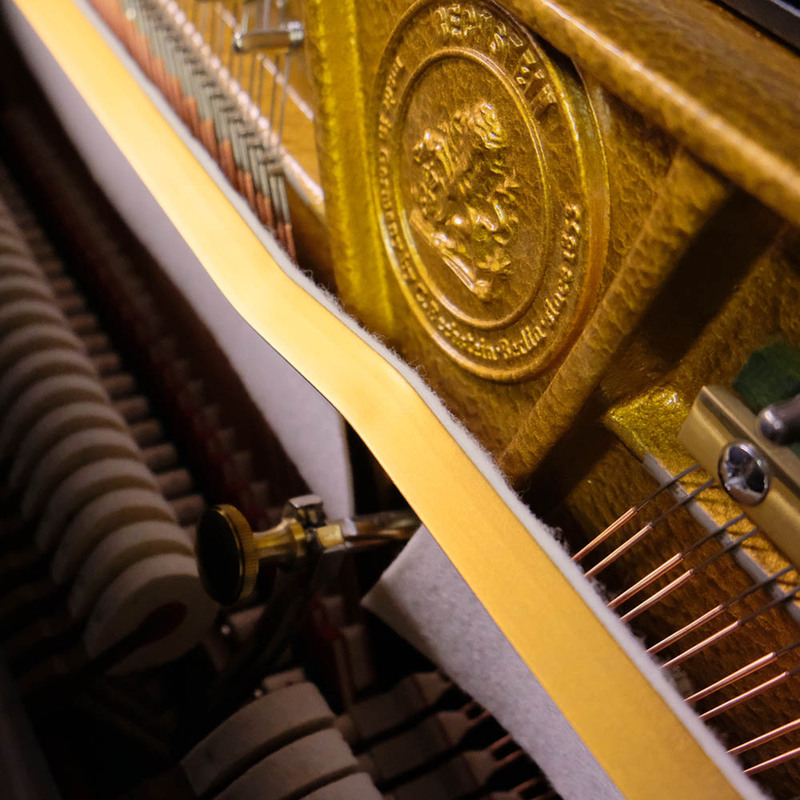 Our craftsmen and technicians’ expertise in restoring and finely adjusting these pianos for over thirty years means a Bechstein bought from Coach House will be regulated and voiced at the optimum level. 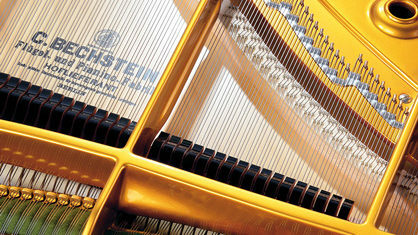 It is, therefore, our honour to offer nearly new Bechstein pianos from the historical piano makers. Explore the used Bechstein grand collection of pianos, a fine range of beautifully designed instruments with models suited for every requirement and budget. Coach House specialises in rebuilding classical Bechstein pianos to their original beauty and tonal quality. Our time served craftsmen are well known for the meticulous attention to detail and superb finish when restoring these fine musical instruments. At Coach House, we are committed to using genuine manufacturer materials throughout when restoring these masterpieces. We display a range of fully restored Bechstein pianos available for purchase as well as the new models in our extensive showrooms. What is the C.Bechstein Vario System? The C.Bechstein Vario system allows you to get the very best out of your Bechstein piano, whatever time of day or night! In essence this is a digital mute system which allows you to play a real, acoustic piano with the correct touch and control, however, the sound is generated through headphones and does not disturb your neighbours or even those in the same room! 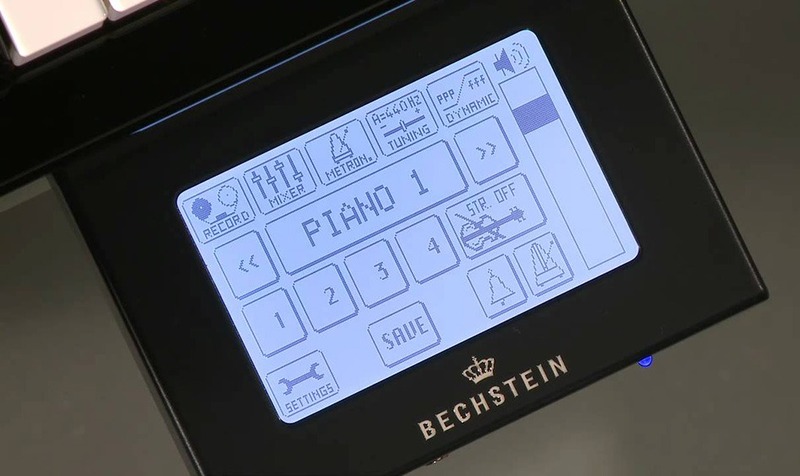 The Vario system is a hi-tech mute mechanism that is manufactured in Germany incorporating sophisticated sound samples and dynamic key and action movement from Bechstein’s finest instruments. Experience sonorous nuances of German heritage across the Bechstein family of nearly new upright pianos. 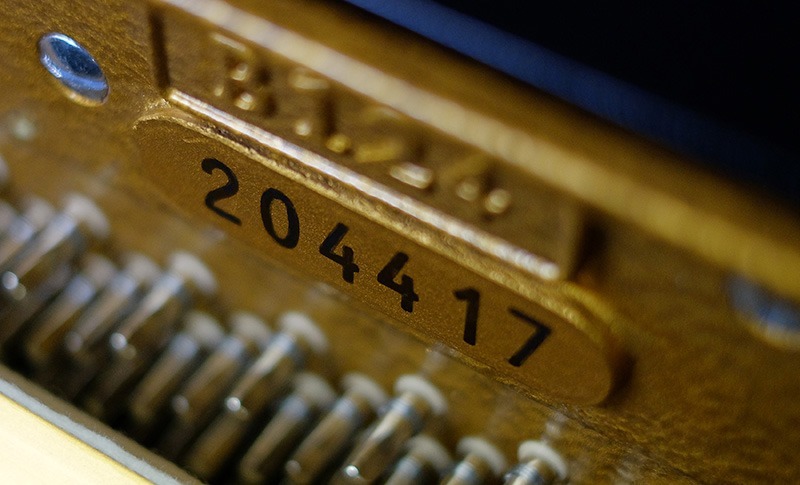 The age of each C.Bechstein piano is determined by the serial number which is found on the cast iron plate (frame) near the tuning pins or on the soundboard. Reference the number with our comprehensive tables of data to ascertain the year in which the instrument’s frame was cast.